Our Company - Cotton Holdings Inc. The harmonious and seamless process, realized through utilization of Cotton’s turnkey solutions, that promotes efficiency, transparency, cost savings and consistent quality throughout each phase of your complex project. A company's core values are often the true determinants of its overall success or failure. In any company, the real source of success is the thousands of individual actions, taken by individual team members. At Cotton, we believe that core values and their supporting behaviors will propel our company and us to higher levels of performance. We believe that by incorporating these values into our business conduct, we will achieve our common goal of a well-organized, profitable, and successful organization. To be the preferred partner in the delivery of worldwide turnkey solutions for complex work environments while providing long term value and sustainability to our clients, stakeholders, employees, and the communities we operate in. Cotton’s Mission is achieved through COTTONuity, the harmonious and seamless process that promotes efficiency, transparency and consistent quality across the diverse suite of Cotton brands and subsidiaries. Originally founded in 1996 by Pete Bell and Daryn Ebrecht, Cotton built a reputation of excellence that has lasted more than 20 years. 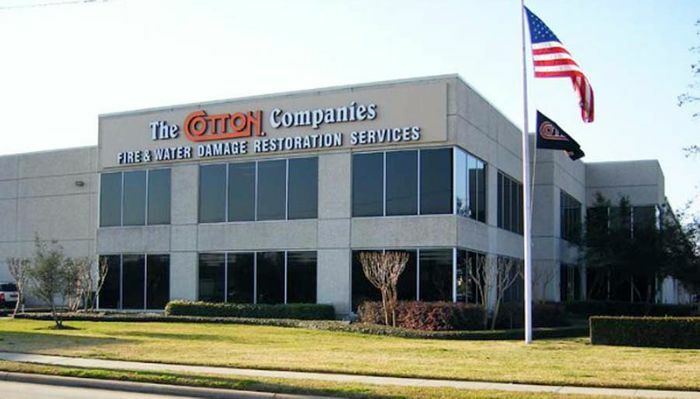 Beginning in Houston, Texas, Cotton focused on providing clients in both the private and public sector a single source solution following damage resulting from isolated incidents and large scale disasters. Cotton’s emphasis on service resulted in the Company’s expansion throughout Texas, the United States, and internationally, serving corporate and retail businesses, commercial office, manufacturing and industrial clients, in industries including healthcare, education, hospitality and entertainment, as well as the public sector. Now consisting of multiple specialized divisions, Cotton has been instrumental in the recovery and restoration efforts stemming from the world’s most damaging catastrophes of the past two decades, including high-impact weather events and other natural disasters, wildfires, terrorism, vandalism and environmental mishaps. 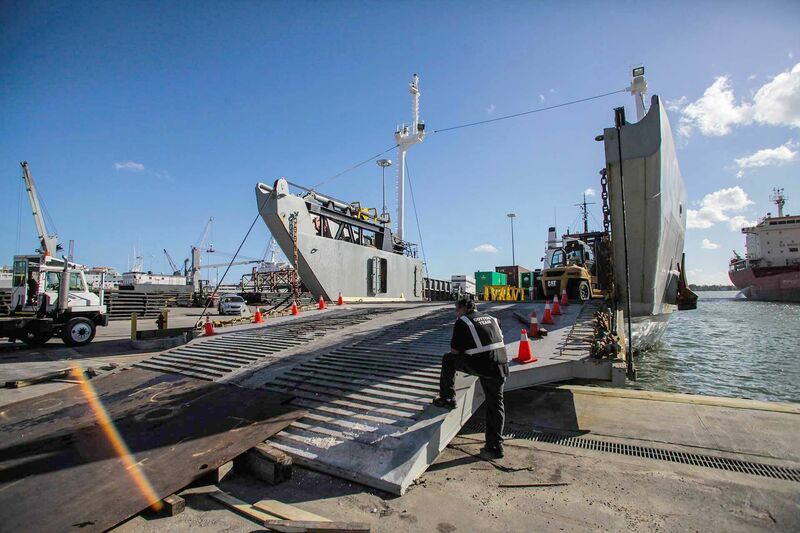 Beyond disasters, Cotton provides comprehensive logistical support solutions and consultation to a host of local and international clients including Fortune 500 companies, oil and gas corporations, private contractors and government agencies. Cotton’s steady growth is attributed to the strength and dedication our “Cotton family” team displays each day to as well as our commitment to providing the highest level of customer service across each industry we serve. With the same core management group leading Cotton’s efforts since the beginning, we operate in a stable environment and have earned trust among our corporate partnerships. Having celebrated over 20 years in business, the Cotton brand has secured its position as a force multiplier in today’s complex marketplace, and the stage continues to be set for anticipated expansion of operations. We will continue to raise the industry standard of expectations, and we look forward to serving our clients into the future. Our employees act with integrity, honesty, and exemplify high moral standards at all times. Our daily services will reflect our very best effort. High Quality work with excellent results is the utmost goal in all of our work. We strive to understand our customers' needs and concerns so that we may provide reliable, friendly, and courteous service to ensure customer satisfaction. We provide an open and professional work environment that encourages training, teamwork, and open communication. We wisely manage client and corporate resources. We are creative and innovative in our approach to today's issues in anticipation of tomorrow's opportunities.